As the person who chartered Theodor Reuss, Franz Hartmann, and Henry Klein to start an Academia Masonica for the German empire, and who authorized Aleister Crowley to restart the Antient and Primitive Rite, John Yarker is the lynchpin in the establishment of Ordo Templi Orientis. John Yarker (1833–1913) was born in Swindale Shap, Westmoreland. At an early age, he and his family relocated to Lancashire then Manchester, where he would live out the rest of his life. He worked as an import/export merchant and a yarn or cloth agent. He was interested in Freemasonry in all its forms from an early age. He took his Entered Apprentice (1°) in Lodge of Integrity No. 189 (now 163) on October 25, 1854; after a mandated three-month waiting period, he was promptly Passed and Raised on February 16 and April 25, respectively. He would serve as Secretary, Junior Warden and Worshipful Master within the following three years. He also took a keen interest in appendant and high-degree rites, including those of Mark Masonry, the Royal Arch, Ancient Accepted Rite, and Knights Templar. His first book was dedicated to his Templar encampment: Notes on the Orders of the Temple and St. John and the Jerusalem Encampment, Manchester (1869). In the archives of the Jerusalem Conclave, Yarker found the relics of a forgotten history of Freemasonry, including records of rituals long since abandoned or forgotten. This precipitated his lifelong obsession with Masonic archaeology. He became a prolific writer of books, along with articles, notices and letters to Masonic—and, as we shall see, occult—journals. All of this earned him a reputation not only as one of the most learned historians of Masonry, but also as one of the most opinionated. While his friends embraced his encyclopedic knowledge, his detractors found him abrasive and credulous. Because most high degree rites were compilations of older, independent ceremonies, Yarker concluded that these rites had no basis for claiming exclusivity over their constituent rituals: the individual rituals were the creations of others, and did not belong to the rites that later adopted them. This belief brought Yarker into conflict with the Ancient Accepted Rite (AAR), from which we was ultimately expelled in 1870. He responded by founding a Supreme Council of the 33° of the Ancient and Primitive Rite under a charter from Harry J. Seymour. The AAR considered this to be a spurious version of their rite, and warned their members to steer clear of it under threat of expulsion. Yarker’s rites would prove to be an ongoing bone of contention, with Yarker verbally sparring with Albert Pike over these issues as late as the 1880s. In the end, the Ancient and Primitive Rite was never a threat to the AAR, and subsisted through the dues payments of a small cadre of dedicated members with Yarker making up the difference out of his own pocket. Despite his ongoing conflict with the AAR, Yarker remained a Mason in good standing. He joined the scholarly and prestigious Quatuor Coronati correspondence circle in May 1887 as member number 77; he would remain a member, and contribute regularly to its journal, Ars Quatuor Coronatorum, for the rest of his life. These esoteric interests included Theosophy: H. P. Blavatsky (1831–1891) made Yarker a Corresponding Fellow of the Theosophical Society and cited his Notes on the Scientific and Religious Mysteries of Antiquity (1872) in her Isis Unveiled (1877). At the suggestion of their mutual acquaintance Charles Southeran (1847–1902), Yarker reciprocated by bestowing honorary Masonic degrees upon Blavatsky in both Sat Bhai and Adoptive Masonry. He was also an early contributor to The Theosophist. In November 1902, Yarker advanced from being Grand Master 96° for Britain and Ireland to succeed Francesco Degli Oddi as Grand Hierophant 97°, the international head or Sovereign Grand Master General of the Ancient and Primitive Rite. When Theodor Reuss and colleagues began collecting authority to establish the Academia Masonica that would become Ordo Templi Orientis, most of their charters came from John Yarker: On February 21, 1902, he authorized Reuss to establish a German Grand Lodge of the Swedenborgian Rite. Shortly thereafter, Yarker appointed Reuss, Franz Hartmann, and Henry Klein to the degree of Grand Curator General (95°) in honoris causa, then jointly chartered the three of them to form a Sovereign Sanctuary and “confer the several Degrees of our Antient and Primitive Rite from the First to the 33°–95° A[ntient] and P[rimitive], 90° Misraïm and 33° Antient and Accepted.”4) On July 14, 1903, the Sovereign Sanctuary of Great Britain and Ireland—pleased with the progress of the Rite in Germany—made Carl Kellner, Theodor Reuss, Franz Hartmann and Henry Klein Honorary Grand Masters in Great Britain and Ireland. The reader of this treatise is at first overwhelmed by the immensity of Brother Yarker’s erudition. He seems to have examined and quoted every document that ever existed. […]But Brother Yarker has nobly suppressed a Spencerian tendency to ramble; he has written with insight, avoided pedantry, and made the dreary fields of archeology blossom with flowers of interest. Accordingly, we must give him the highest praise, for he has made the best possible out of that was nearly the worst possible. The correspondence would prove to be fateful for both men. For Yarker, it offered an opportunity to publish book reviews in The Equinox and to find a young man eager to carry on the work that he had shepherded for so long. For Crowley, Yarker acknowledged the 33° that he had received in Mexico in 1900 and long assumed to have been spurious, and, on November 29, 1910, recognized Crowley as 33° in the Ancient and Accepted Rite (i.e., Yarker’s Cerneau lineage, not the AAR descended from Charleston). John Yarker died of senile decay, fibroid phthisis, and cardiac failure on March 20, 1913. His manuscript on the History of the Knights Templar was in his printer’s hands at the time, and a revised edition of Arcane Schools had been prepared. In addition, Crowley had promised in The Equinox that Yarker’s translation of du Potet’s Magic Unveiled was awaiting publication.11) Alas, none of these books was ever published. Yarker, John. Notes on the Orders of the Temple and St. John and the Jerusalem Encampment, Manchester. Manchester: n.p., 1869. Also published as a supplement to Transactions of the Provincial Grand Conclave of Lancashire, 1869, 33–76. Yarker, John. Notes on the Scientific and Religious Mysteries of Antiquity; The Gnosis and Secret Schools of the Middle Ages; Modern Rosicrucianism; and the Various Rites and Degrees of Free and Accepted Masonry. London: J. Hogg, 1872; rpt. New York: J. W. Bouton, 1878. Yarker, John. Masonic Charges and Lectures, A Series Translated from the French. Manchester: Isaac W. Petty & Son, 1880. Yarker, John. “English Ghost Stories,” Theosophist, Feb 1880, 1: 114. [Yarker, John.] Manual of the Degrees of the Antient and Primitive Rite of Masonry, Issued by the Sovereign Sanctuary, 33rd Degree, in and for Great Britain and Ireland. S.l. : n.p., 1881. Yarker, John. “The Beni Elohim,” Theosophist, Aug 1881, 2: 237–8. Yarker, John. “The Beni Elohim and the Book of Enoch,” Theosophist, Apr 1882, 3: 171–2. Yarker, John. Genealogy of the Surname Yarker; With the Leyburn, and Several Allied Families, Resident in the Counties of Yorkshire, Durham, Westmoreland, and Lancashire, Including All of the Name in Cumberland, Canada, America, and Middlesex (from the Conquest to the Present Time). Manchester: A. M. Petty, 1882. Yarker, John. “The Adwaita Philosophy versus the Semitic Bible,” Theosophist, Apr 1883, 4: 175. Yarker, John. Recapitulation of All Masonry, or, A Description and Explanation of the Universal Hieroglyph of the Master of Masters. Dublin: Sovereign Sanctuary, 1883. Yarker, John. Speculative Freemasonry: A Historical Lecture Upon the Origin of Craft and High Grade Freemasonry, and Showing the Great Antiquity of the Combined System, Delivered Before the Brethren of the Palatine and Jerusalem Chapter, No. 2 on the Roll of the Sovereign Sanctuary of the Antient and Primitive Rite of Masonry in and for the United Kingdom of Great Britain and Ireland, in Assembly at Their Place of Meeting, the Grosvenor Hotel, Deansgate, Manchester, 26th November, 1883. Liverpool: Joseph Hawkins, 1883. Yarker, John. The Kneph, 1884–1900. Yarker, John. Two Lectures on High Grade Masonry. Liverpool: n.p., 1886. Yarker, John. The Code of Apex and the Sat Bhai, revised. London: n.p., 1886. Invictus [Robert H. Fryar?] and John Yarker, The Letters of Hargrave Jennings, Author of “The Rosicrucians,” “Phallicism,” &c., &c.: Forming the Unabridged Correspondence with the Editor of the Bath Occult Reprints, between 1879 and 1887, with Frontispiece. Bath: Robert H. Fryar, 1895. Thomas Inman and John Yarker, Supernatural Generation. Bath: R. H. Fryar, 1896. Yarker, John. 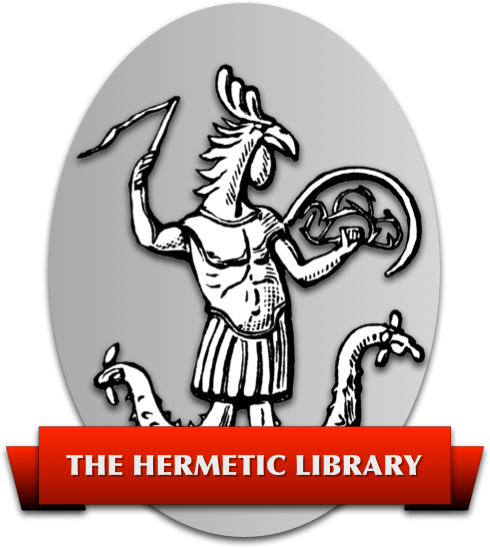 “Aureus:” the Golden Tractate of Hermes Trismegistus: Concerning the Physical Secret of the Philosopher’s Stone: In Seven Sections: With an Introductory Essay by J. Yarker. Bath: Robert H. Fryar, 1886. Villars de Montfaucon and John Yarker, Sub-Mundanes: Or, the Elementaries of the Cabala, Being the History of Spirits. Bath: R. H. Fryar, 1886. Villars de Montfaucon and John Yarker, Continuation of the Comte De Gabalis, or New Discourses Upon the Secret Sciences; Touching upon the New Philosophy: Posthumous Work: Amsterdam, Pierre de Coup, M.D.CCXV. Bath: Robert H. Fryar, 1897. Antoine Androl and John Yarker, The Assistant Génies, and Irreconcileable Gnomes, or Continuation to the Comte de Gabalis. La Haye, M.DCC.XVIII. Bath: Robert H. Fryar, 1897. L. A. Cahagnet and John Yarker, Magnetic Magic. [Bath]: [Robert H. Fryar], 1898. Yarker, John. “Obituary of Dr. Karl Kellner,” Ars Quatuor Coronatorum 1905, 18: 150. Yarker, John. The Arcane Schools: A Review of Their Origin and Antiquity; with a General History of Freemasonry and Its Relation to the Theosophic, Scientific, and Philosophic Mysteries. Belfast: W. Tait, 1909. Yarker, John. The Ancient Constitutional Charges of the Guild Free Masons: To Which Is Added a Comparison with York Freemasonry. Belfast: William Tait, 1909. Yarker, John. “The Apocalypse Unsealed” [review], The Equinox 1911, I(6): 164–7. Yarker, John. “The Secret Tradition in Freemasonry” [review], The Equinox 1912, I(7): 413–7. Anonymous. “The Late Brother Yarker.” New England Craftsman, May 1913, 8(8): 259–60. Anonymous. “In Memoriam—John Yarker,” The Equinox, Sep 1913, 1(10): xvii–xxxix. Crowley, Aleister. “The Arcane Schools” [review]. The Equinox 1910, I(4): 240. Cummings, William L. “John Yarker: A Study.” Nocalore: Being the Transactions of the North Carolina Lodge of Research No. 666, A.F. & A.M., 1938, 9: 76–85. Hamill, John. “John Yarker: Masonic Charlatan?” Ars Quatuor Coronatorum 1996, 109: 191–214. Hamill, J. M. “The Seeker of Truth: John Yarker 1833–1913.” Pp. 135–42 in Albrecht Götz von Olenhusen, Wege und Abwege: Beiträge zur europäischen Geistesgeschichte der Neuzeit: Festschrift für Ellic Howe zum 20. September 1990. Freiburg: HochschulVerlag, 1990. Kaczynski, Richard. Forgotten Templars: The Untold Origins of Ordo Templi Orientis. Baltimore: privately printed, 2012. Kaczynski, Richard. “The Mason Who Kicked the Hornet’s Nest: The Transatlantic War of Words between John Yarker and Albert Pike,” Academia Ordo Templi Orientis 2013 Yearbook, in press. Yarker, Genealogy of the Surname Yarker, 42. William L. Cummings, “John Yarker: A Study,” Nocalore: Being the Transactions of the North Carolina Lodge of Research No. 666, A.F. & A.M., 1938, 9: 76–85. John Yarker to Francis George Irwin, 22 Jan 1885, quoted on p. 159 – 60 of Charles Wallis-Newport, “From County Armagh to the Green Hills of Somerset: The Career of Major Francis George Irwin (1828–1893),” Ars Quatuor Coronatorum 2001, 114: 112–81. Oriflamme, Dec 1902, 11: 1–2; rpt. Oriflamme, Oct 1905, 9–20 and Oriflamme, Jan 1911, 9(1): 4–5. Aleister Crowley, “The Arcane Schools” [review], The Equinox 1910, I(4): 240. Yarker also found his Arcane Schools praised by, and he thus similarly poured favor upon, Annie Besant’s Co-Masons…much to Crowley’s chagrin, as he had serious objections to Besant and her promotion of Krishnamurti as the new World Teacher (a title which Crowley believed himself to hold). John Yarker to Aleister Crowley 13 Aug 1912, OTO Archives. Quoted in Kaczynski, Forgotten Templars, 241. John Yarker to Aleister Crowley 16 Aug 1912, OTO Archives. Quoted in Kaczynski, Forgotten Templars, 241. Aleister Crowley to H. C. D. Wilmott Newman, 16 Aug 1944, Yorke Collection, Warburg Institute. Quoted in Kaczynski, Forgotten Templars, 271. Aleister Crowley to WB Crow, 16 Jul 1944, Yorke Collection, Warburg Institute. Quoted in Kaczynski, Forgotten Templars, 272. Aleister Crowley to WB Crow, 16 Jul 1944. Quoted in Kaczynski, Forgotten Templars, 276. Aleister Crowley, “Editorial,” The Equinox 1911, I(5): 1–2.